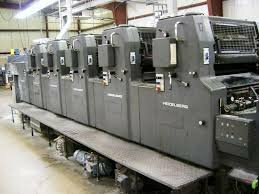 Batra Polly Used Printing Machines will help small companies or fresh print start-ups to get hold of those Polly Used Printing machines of brand such as Heidelberg, Komori, Mitsubishi, KBA and others at lower price. The smaller companies can well start off with their business with pre-owned machinery and once business is stable and requires more expansion or growth, can manage to buy a new machine later. Meantime they may enjoy the lower price and constant support of those best brand machines. Do not worry about quality and working condition of the machine as engineers will take care of this area completely.Heidelberg, Polly, Planeta, Komori, Mitsubishi, KBA, Heidelberg Machines.